At the outset, let us understand what autism actually is. Autism is a neurobehavioral condition that is complex enough to cause impairment in social interaction and language and communication skills. People with autism are found to be rigid and can have repetitive behaviors. Owing to this complex range of symptoms, autism now is called autism spectrum disorder or ASD. A large spectrum of symptoms comes under autism and the levels of impairment may also be different from person to person. Severity of the disease can be from being a handicap that prevents a person from leading a normal life to a devastating disability that may require admission to a rehabilitation centre. Unless you are an expert, detecting early signs of autism in children can be hard. Many of these telltale signs of autism are common to all young children, but they are seen way too much in children who have autism. Let us go through some common red flags for autism. First signs of autism can be spotted in children as young as six to eighteen months. Infants fixating on objects or not responding to people around may be showing early signs of autism spectrum disorder. Children may not respond when their name being called. Making eye contact becomes extremely difficult for children with autism. They will be in their own world and sharing an experience or observing an object with parents and peers may not be happening. They tend to engage in repetitive movements like rocking and arm flapping. There will be difference in the way they play with toys. Instead of actively engaging with toys, they may line them up and may be focussing on the parts of the toy rather than the whole. Parents who notice these signs and or are concerned that their child is not meeting developmental milestones, should consult their pediatrician for a developmental screening assessment. If signs of autism are taken into consideration in the beginning itself, it can make a sea change in treating the disorder through early intervention. Medical studies show that about half of the children with autism can gain enough skills to be mainstreamed into kindergarten if treatment is given at an early stage. As a parent, you are better placed to detect the early signs of autism. Observe behaviors and quirks in children. Key is to educate yourself to know what is normal and what is not. Monitor your child’s development – Autism involves a variety of developmental delays. Keep an eye on your child’s social, cognitive and emotional milestones; it is an effective way to spot autism early on. Not meeting these milestones on time does not necessarily mean autism, but it makes the child prone to developing developmental disorders. Take action if you are concerned – Every child is different and every child develops at his/her own pace. However, there are specific developmental milestones that all children should be reaching by specific ages, failing which calls for a clinical consultation. Don’t adopt a wait-and-see-approach – Don’t wait! Talk to your doctor. Early intervention is the key to get out of this disorder and to gain necessary skills to cope with everyday life, so thinking that “time will heal” is the worse thing to do and it will only deteriorate the problem at a time when therapies and drugs can help the children come out of it. Not only in autism, in any developmental disorder, there should not be a wait-and-see approach. 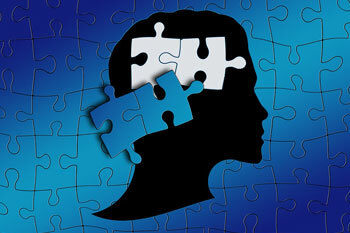 Though autism is generally found in children, it is possible that autism can go undiagnosed until adolescence. Among adults, autism manifests itself as difficulties in socializing, communication issues, being mentally rigid. As is the case of children, certain red flags can suggest that a grown-up is showing signs of autism. Ironically, these signs can appear in adulthood, be it age 18 or 40. Just as an early intervention for children with autism paves way to therapies that can lend support to gain necessary life skills, diagnosis in an adult can enhance the quality of life that would help him do tasks that require higher-functioning capacity.